If you're more analytical, you get to realize that butterflies are just insects, like many others in many ways including so many legs! And they do the same sound when crushed! And they often become pests in agriculture contexts!! But in spite of this, butterflies are much more appreciated by people, probably because the bright colours of many, or it is because they are not usually predators and eat veggies most of their lives? Anyway, they can most often be used as flagships for conservation and are among the best indicators of what is going around us: if they disappear others will follow! 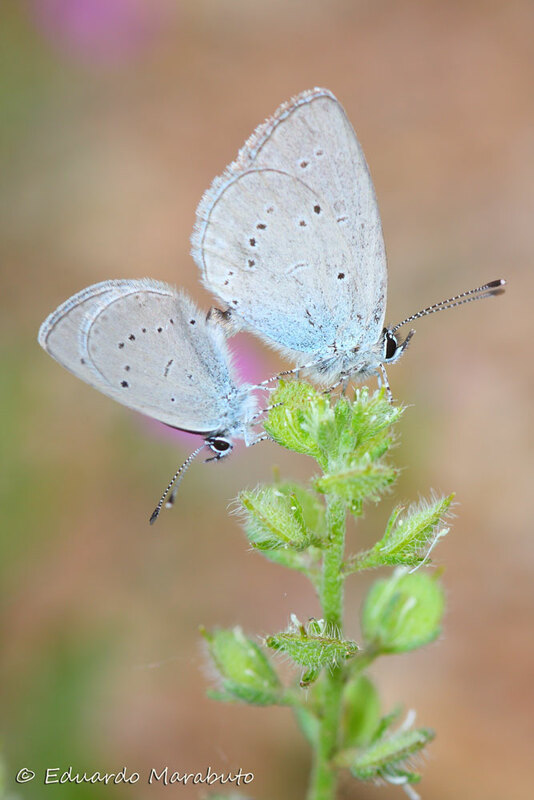 Here butterflies are a flagship for love too, which I tried to picture in the best way is more butterflies in the making by a nice little butterfly with a romantic name evoking the roman god Cupid! Enjoy love, enjoy life, enjoy butterflies and don't let them go away! Gosto muito da foto :-) É uma espécie bonita e estes momentos dão-nos esperança num futuro com biodiversidade.